Can't hide the fun! 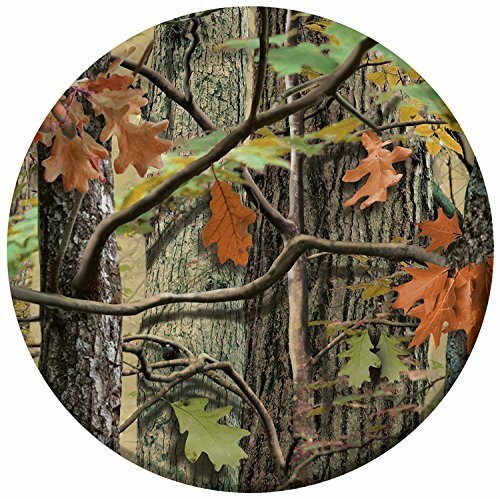 No need to hunt for the perfect pattern. 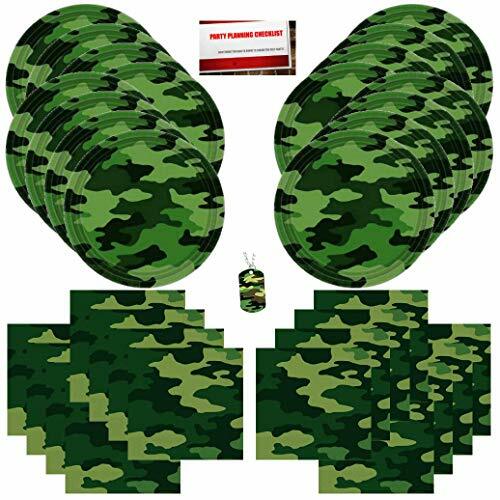 Camouflage is a hot trend and this ensemble will score a bulls-eye with guests. From Creative Converting. 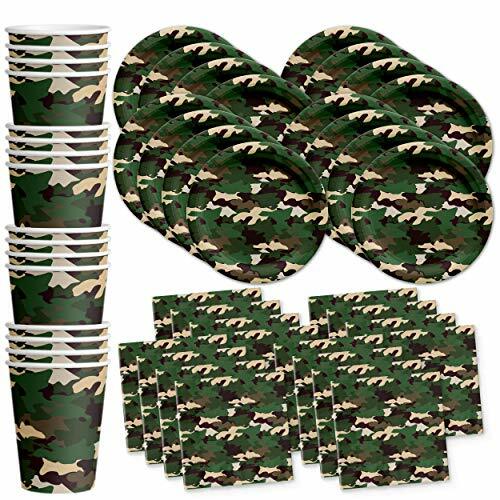 With the most seasoned staff of design experts in the party industry, you know you are getting the best in disposable paper and plastic goods, decorations and party accents for every holiday and all occasions. Coordinate your favorite patterned theme with the largest selection of perfectly matched solid colored hues from Creative's Touch of Color collection. Talk about choices. 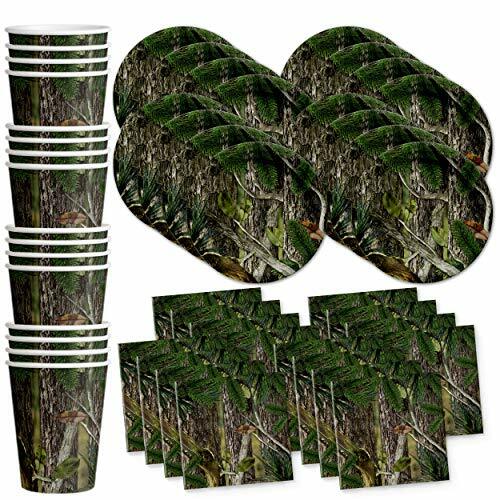 Hunting Camo Birthday Party Supplies Set Includes 16 ct. Dessert Plates (7 inch), 16 ct., 16 ct. Paper Cups (9oz), and 16 ct. Beverage Napkins (5x5 inch). 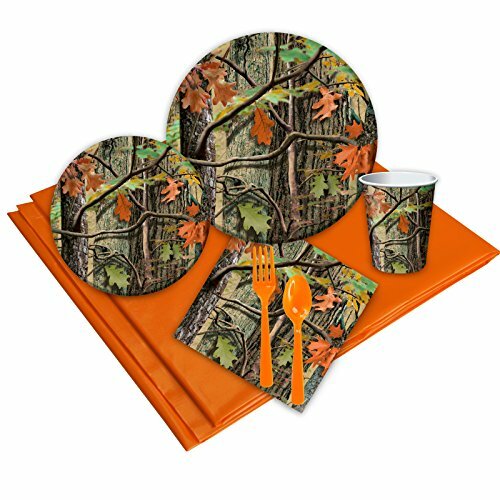 Hunting Camo 16 Guest Party Pack includes 16 dinner plates, dessert plates, cups, forks, spoons, lunch nakpins, 1 solid table cloth. 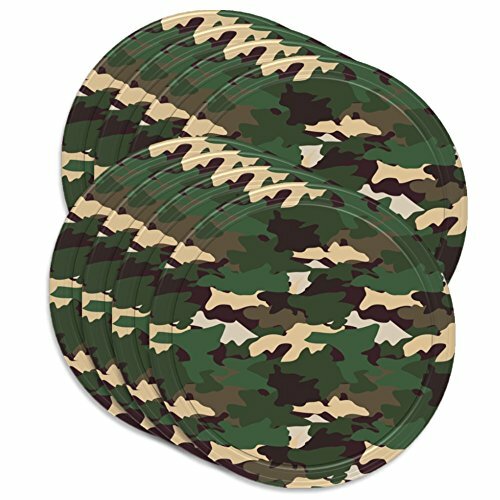 8 CAMOUFLAGE Army Camo Print Paper Boys Party Paper Dinner Lunch Plates 9"
A selection of hunting camo printed paper plates to help our customers in the selection of which camo party supplies they want for their hunting or camo themed party!